The innovative VETUS BOW PRO Boosted thrusters take centre stage among a comprehensive display of new equipment on show by the renowned Dutch manufacturer at this year’s boot Düsseldorf. Reflecting the exceptional range of products offered by VETUS to meet a wide spectrum of boating needs, the new introductions, including the F-LINE engines, V-Docker joystick docking system, new V-Quipment Frontier RIB, plus the CWS and FTR33038M water strainers, will be presented alongside the complete range of thrusters, engines, Maxwell winches, exhaust solutions and glazing. 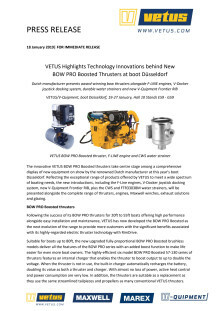 Following the success of its BOW PRO thrusters for 20ft to 55ft boats offering high performance alongside easy installation and maintenance, VETUS has now developed the BOW PRO Boosted as the next evolution of the range to provide more customers with the significant benefits associated with its highly-regarded electric thruster technology with RimDrive. Suitable for boats up to 80ft, the new upgraded fully-proportional BOW PRO Boosted brushless models deliver all the features of the BOW PRO series with an added boost function to make life easier for even more boat owners. 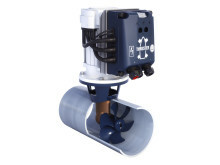 The highly-efficient six model BOW PRO Boosted 57-130 series of thrusters features an internal charger that enables the thruster to boost output to up to double the voltage. When the thruster is not in use, the built-in charger automatically recharges the battery, doubling its value as both a thruster and charger. With almost no loss of power, active heat control and power consumption are very low. 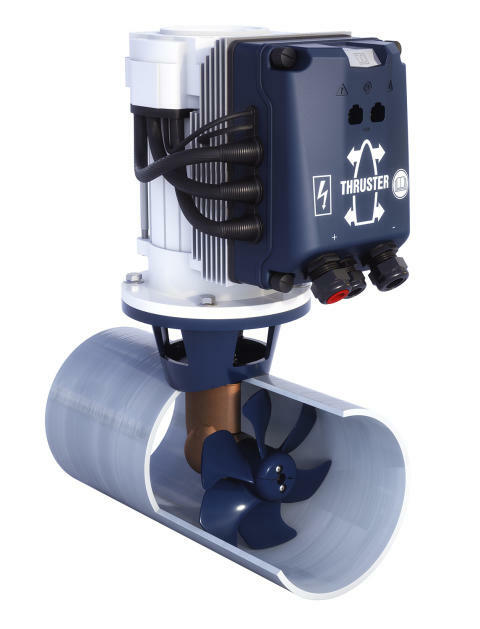 In addition, the thrusters are suitable as a replacement as they use the same streamlined tailpieces and propellers as many conventional VETUS thrusters. 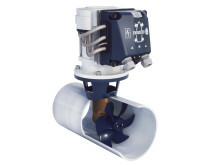 The BOW PRO range answers the demands from boat owners for powerful, quiet thrusters with precision proportional control and unlimited run times, making tight manoeuvring easier than ever before. The thrusters are highly durable, energy efficient, safe and reliable, and are fitted with a maintenance-free brushless motor. 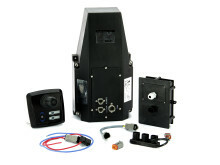 The smart thrusters allow operators to command as little or as much power as needed with fingertip control and a runtime only limited by the size of the battery pack installed. 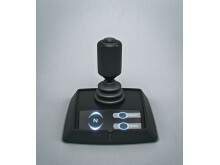 Berthing is also made easier with the new VETUS V-Docker joystick docking system. Intuitive to operate, it provides targeted power for precise operation to simplify even the most complicated docking situations. The V-DOCKER works with a single, mechanically-controlled engine and a combination of bow and stern thrusters to optimise forces for inch-perfect manoeuvring. Cooperation between the two thrusters and the propulsion system, together with precision joystick control, enables both lateral and diagonal movement, eliminates drifting and allows users to turn in the tightest of spaces. Single-handed control is also straightforward using the sail-by-wire system which replaces mechanically controlled throttle levers. When it comes to propulsion, the next generation F-LINE 4-cylinder common rail engines with variable geometry turbochargers are ideal either for new builds or as replacement engines for RIBs, small tenders and light-weight motor boats. Compact, light and fuel efficient, with an excellent power-to-weight ratio, high power and torque, F-LINEs are available in gearbox and sterndrive models in 145hp, 175hp and 190hp. 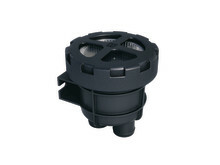 Further product innovations include the FTR33038M water strainer - a rugged, highly-durable model for below-waterline installations. Using a composite polymer blend, NAVIDURIN®, it can withstand high levels of heat and pressure. Tested up to 8 bar, it is well-suited for use below the waterline. 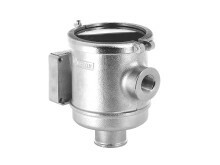 VETUS also recently introduced a new nickel-plated CWS cooling water strainer series, perfect for installation close to or below the waterline and for commercial applications. Featuring a housing of nickel-plated bronze, for optimal corrosion resistance, the CWS range has a transparent polycarbonate cover for easy inspection of the filter without dismantling. The new five-model V-Quipment Frontier RIB series, measuring from 2.4m to 3.3m in length, features an aluminium V-shaped hull with a double floor and front storage locker, non-slip deck covering and oar storage clamps, as well as multiple grab handles and D-rings for ease of use. Further V-Quipment products on display at boot Düsseldorf include several new seats. The new VETUS catalogue is available for download here. 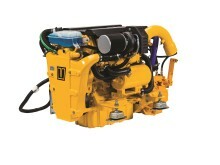 For more information visit VETUS in Hall 10 Stands E59-G59 or see www.vetus.com. VETUS is an internationally-renowned developer and manufacturer of complete marine product systems - including engines, generators, bow thrusters and control panels - for recreational craft and small commercial vessels. VETUS prides itself on innovation and the majority of the 4,000 products it supplies are part or wholly designed by its in-house engineers. Founded in 1964, VETUS has its headquarters near Rotterdam, in the Netherlands, as well as subsidiaries in 16 other countries and a worldwide distribution and service network. Meeting the needs of every boat owner, V-Quipment offers a diverse range of high quality, carefully selected marine products at affordable prices. All V-Quipment products are tested and approved in the VETUS test lab in Schiedam, The Netherlands, and therefore carry the VETUS 3-year warranty.